Jet Air Flow - IAPL GROUP PVT. 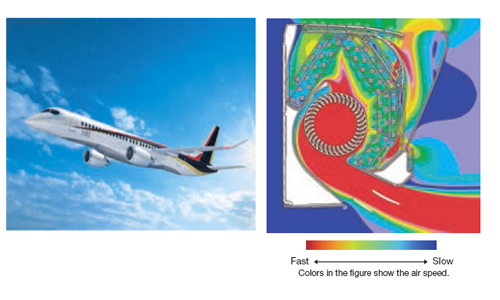 LTD.
CFD (computational fluid dynamics), used in blade shape design of jet engines, has been applied to the design of air channels in air conditioners to develop the ideal air channel system (air circulation). 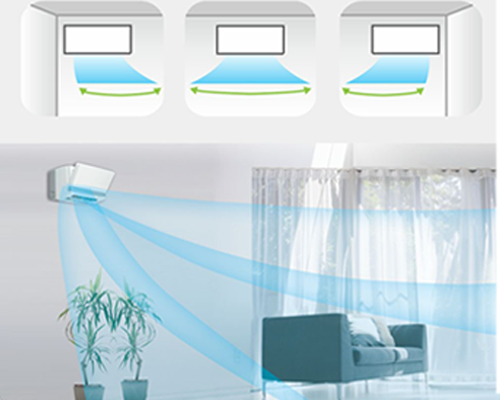 The air flow of the jets created in this system enable a large volume of air to be blown with minimum power consumption, yet the airflow is uniform, quiet and reaches points a long distance from the blower. You can set the left-right air flow directions when you install the air conditioner near the side wall by remote controller operation. Due to redesigned size and shape, the new louver has been increased in surface area by 80%. 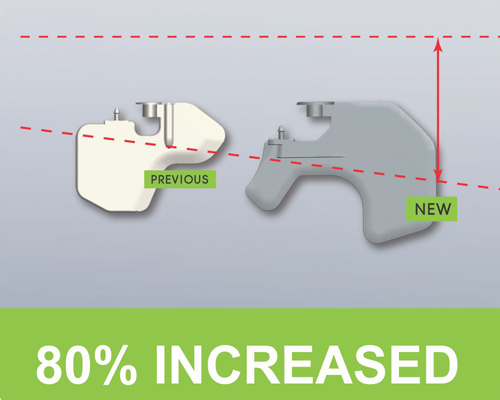 In addition to increase of air flow volume, it has improved controllability of swinging to right and left.